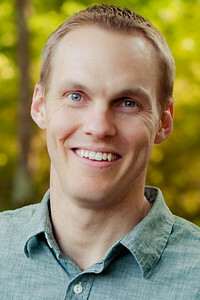 Manassas, VA– Dr. David Platt, President of the International Mission Board, is scheduled to speak on Thursday, February 26, 2015, at the NRB 2015 International Christian Media Convention in Nashville, TN. In addition to serving as President of the International Mission Board, Dr. Platt is Founder of Radical (Radical.net), a ministry devoted to serving churches and disseminating disciple-making resources toward the end that the Gospel might be made known in all nations. He also has a radio program on Moody Radio, Radical with David Platt, that can be heard around the world and features past sermons and teaching from his ministry. Dr. Platt previously served as Dean of Chapel and Assistant Professor of Expository Preaching and Apologetics at New Orleans Baptist Theological Seminary; Staff Evangelist at Edgewater Baptist Church in New Orleans; and as the Senior Pastor of The Church at Brook Hills in Birmingham, AL, for eight years. Dr. Platt has written several books, including Radical, Radical Together, Follow Me, and most recently, Counter Culture (to be released February 2015). He has traveled extensively to serve alongside church leaders throughout the United States and around the world.